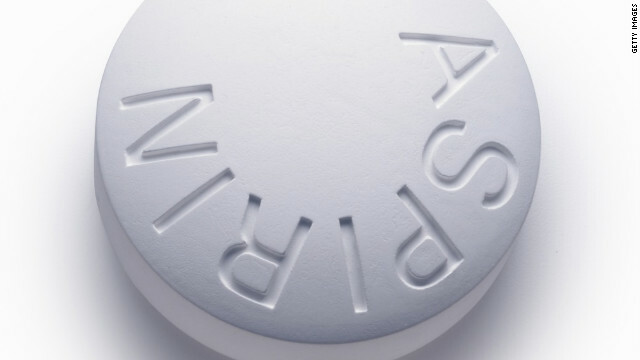 Many studies have touted the benefits of aspirin, and the latest one has good news for women. This new research shows that low-dose aspirin may serve as a protection against colorectal cancer. The study was based on a long-term trial in a large group of women, who have been underrepresented in studies on this topic, said lead author Nancy R. Cook, associate biostatistician at Brigham and Women's Hospital and professor at Harvard Medical School. The study is being published this week in the journal Annals of Internal Medicine. This builds on a significant body of research showing the potential preventative properties of aspirin in many cancers such as melanoma. This study did not find a strong link between aspirin and preventing any other kinds of cancer during the 18-year period, however. None of this means that aspirin is right for everyone. Always consult a doctor before starting a new medical routine. The study included nearly 40,000 women 45 and older who were part of the Women's Health Study. About 34,000 participated in follow-up. Researchers followed the women for up to 18 years from the start of the study. The study participants were randomly assigned to either take 100 milligrams of aspirin or a placebo every other day. The alternate-day strategy was intended to reduce the side effects of aspirin, Cook said. Some participants also took vitamin E on the nonaspirin days; the others took a placebo. In the first 10 years, the researchers did not find an association between aspirin use and colorectal cancer; there seemed to be no benefit over taking a placebo. But in women who were followed for longer than 10 years, the benefits of taking aspirin became clear: Between 10 to 18 years after the start of the study, researchers observed a 42% reduction in colorectal cancer in the group that was taking aspirin, relative to the women who were not. That averages out to about a 20% reduction over the length of the study. Researchers did not find that age or other factors were significantly associated with the study results. Socioeconomic status was balanced between the group taking aspirin and those who received placebos. Other studies have also found a delayed effect in aspirin's preventative properties, Cook said. Cancer usually takes about 10 years to develop from its early stages. It's possible that aspirin delays the formation of polyps, she said. Some studies have suggested that higher doses of aspirin have a shorter latent period - in other words, less time passes before the preventative benefits are seen. On the downside, women taking aspirin were more likely to develop gastrointestinal bleeding and peptic ulcers, based on the information that women reported about themselves. The researchers did not find any cardiovascular benefit to taking aspirin every other day, contrary to the preventative properties of aspirin against heart attack and stroke that have been found in many other studies, especially in men. "We're not quite sure if it was because it was the low dose or because it's different in women than men," Cook said. Similarly, although other studies have found that aspirin may prevent other kinds of cancers, this study did not find associations with any other kind of cancer. This could also be because of the low dose, but more research would need to be done to confirm. No benefit to the vitamin E, taken every other day, was observed. This study adds to a large body of research that already established the potential of aspirin to prevent colon cancer, which had mostly been shown in men, Cook said. This study highlights the drug's protective potential in women. Those with an elevated risk of the disease - for instance, a family history of colorectal cancer, or frequent polyps - should consider aspirin, Cook said. Cook doesn't advocate taking aspirin every other day; daily is easier to remember. But consider the possible downsides as well. Aspirin increases the risk of bleeds; in rare cases, it can promote hemorrhagic stroke or gastrointestinal hemorrhage, Cook said. More commonly, peptic ulcer or gastric upset may occur. In an accompanying editorial, Dr. Peter Rothwell of Oxford University noted the findings reinforce the idea that risks and benefits of aspirin should be considered separately in men and women. "People really need to balance risks and benefits, and discuss with doctor whether they should be taking it," Cook said. Where do you get 100mg aspirin in U.S? They only come in 81 or 325mg..
– the dosage was taken every other day. – it is likely that higher doses will provide the same protection more quickly, within reason. – you should consult a doctor before beginning such a regimen. The 81 mg "baby" aspirin is the standard recommended dose in the US for heart disease prevention, taken daily. If you're already in a risk category where this regimen is recommended, you'll get the same protection against colon cancer as noted in the article. If you're not in such a group, or don't know, or are thinking about dosing yourself for some reason, you should talk to a doctor first. There are risks associated with regular dosage with aspirin, and you need to ensure that you don't have any conditions where these risks could become severe, and that the risks themselves are outweighed by whatever good you are trying to accomplish by taking aspirin in the first place. Hi man~!~My Life is so lonely .How about you? Recently, I join a serious interracial singles dating site on__ MīxedSinglë. ℂoм___ I just find my true love here, so I I strongly recommend this site . You interracial dating journey is just beginning! Meet singles living in your local area or in countries around the world. The common interest will help make dating easier and more effective. If you are single, have a try. This does show a correlation. I wonder how daily exercise, high fiber diet, and proper nutrition fit into the findings. When a result of a study has the word "may" in it...I IGNORE IT. Sure. Because a 40% decrease in colon cancer rates among those taking aspirin is complete rubbish. Not so quick, Cali! I was on the aspirin regimen for several years (perhaps 15 years) and ended up with an abcess on my liver. It was hospitalized for nearly six weeks and in a nursing home for 16 days. Not pleasant. I wonder what these 'researchers' do when they are not researching. Maybe they get together and think about what research they will next lay upon us. Having seizes since I was nine yrs. I told the doctor I had a bad habit of diet coke everyday for 23 years and he said that's probably why I hadn't had a seizer in 19 years the caffine does some thing to the brain that helps it . . He drinks 1 to 2 can s a day . He is a neurologicst . But I dont drink it from a can because of the aluminum it sits in . I only drink fountain . I talked to a 79 year old that said shed had drank it for years never any signs of anything ? I'm not saying it couldn't be harmful . But every ones different . As far as in concerned caffine is bad for everyone ,sugar ,and fake sweeteners in to large of doses . or you could just stop eating meat and lower your risk of colon cancer by 100%. Actually, vegetarians have roughly a 35% GREATER risk of colorectal cancer than meat-eaters do. Hello Scientific Factman... Really I agree with your words about atop eating meat and lower your risk of colon cancer by 100%. I won't recommend any medication until and unless there is any necessity. I always prefer to go with healthy life style by taking pretty nutrition food and regular exercises. Instead of taking aspirin just go with healthy diet and exercises. Definitely you’ll be free from all kinds of health and weight issues including colon health issues. xcberyery546 you are a virus. Good article. Our research shows that Americans feel that preventive measures, such as the ones described in this article, are important and save money over the long haul. However, many struggle with maintaining preventive treatment plans and lifestyles. We believe the key to helping patients follow more recommendations is forward-thinking doctors who take the time to engage their patients between office visits by using technology to stay in contact more often. As CytheriaUrs said that we should always go for natural ways for healthy life because natural remedies give long lasting results without side effects. If you maintain proper diet which includes vegetables, leafy vegetables, fiber in diet, juices, low fat foods and avoid junk & processed foods, you can maintain better health. Take 8 to 10 glasses of water every day and physical workouts also help to have good health. If diet and exercises are ineffective you can go for alternative process by the suggestion of your doctor. Thanks for sharing useful information. Instead of taking pills I just go with healthy diet and exercises. I always prefer a healthy life style by taking good fiber and nutrition food and I do regular exercise. Surely I am free from all kinds of health and weight issues including colon health issue. Initial screening of the colon may help in knowing any carcinogenic cells if present in the colon. I believe colonoscopy helps a lot in knowing the colon polyps, which are known for converting into colon cancer cells. Though aspirin may prevent the colon cancer, I consider the words like “prevention is better than cure” and trust the diet the most. We are what we eat. If we eat the unhealthy, processed and fast foods definitely they can affect one or the other day. My first vote is just for healthy diet and exercise. The sunglasses are very lightweight and comfortable. It is really welcoming new research about the aspirin that it helps women to fight back against the colorectal cancer. My mother was the victim of the colorectal cancer. It is late to identify the issue and she could be saved. The reasons for the colorectal cancer could be many but the findings like aspirin assists for avoiding colon cancer boosts morale of the woman like me. I feel I may get the cancer due to hereditary. Though I follow a balanced, healthy diet and the regular exercises for staying fit and healthy, from now aspirin also makes me to stay away from the colorectal cancer. It is really awesome information. In addition, Nuts are also very healthy to prevent Colon Cancer.